Price point testing is probably the most important issue in marketing strategy. In the pursuit of making profits, selling under­priced is rather widespread and it is difficult to maintain competitive prices and keeping them up­-to-­date. With Magento price watch module you can provide your customers with the hottest discounts and lowest prices at just the right time. 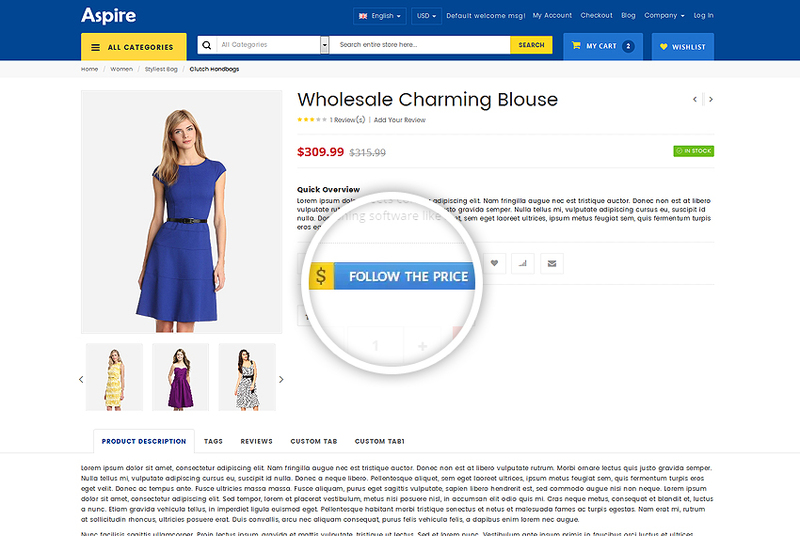 Just place a special "Follow the Price" button at the product page and let your customers subscribe for price drop email for the particular product they are interested in. 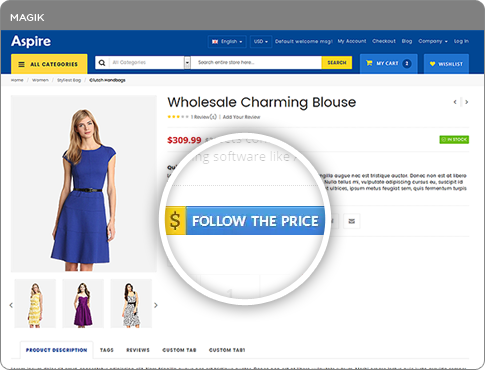 If you have offered the discount or reduce the price of the particular product to which the customer is subscribed, Magento Price Drop Tracker will send an email to the customer informing about price drop & encourage them to come back to your store and avail best buy prices. 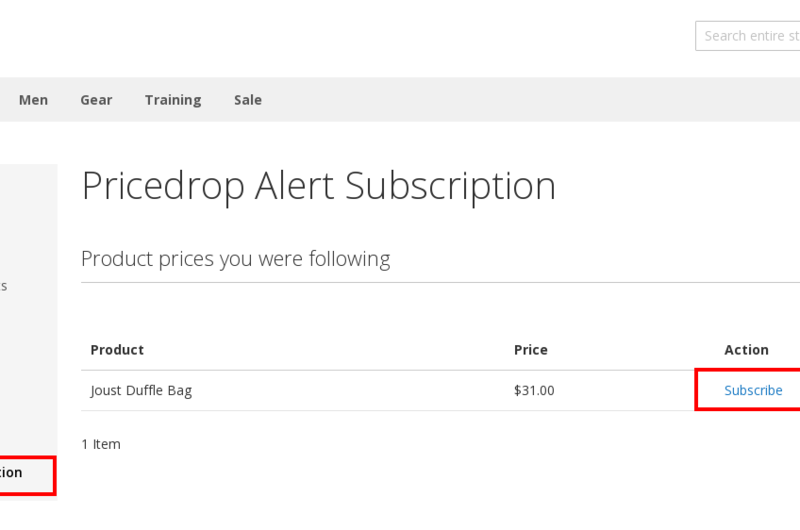 Can I add custom image for Magento Price Drop alert creator button? 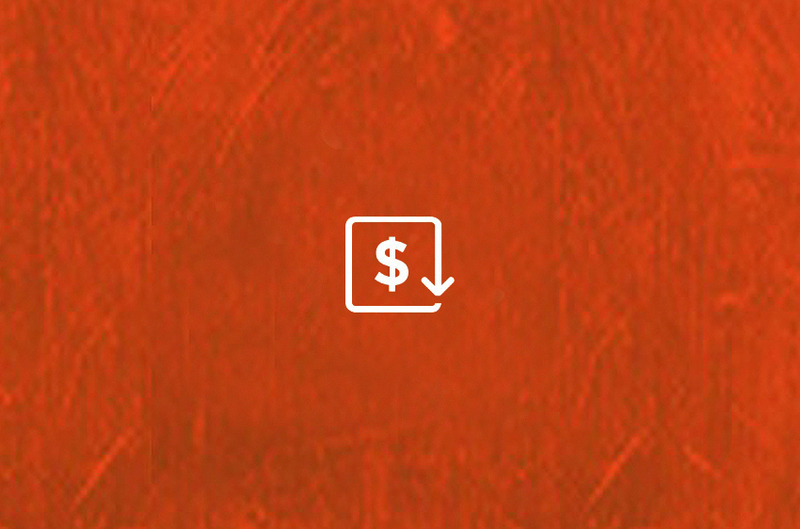 Yes, You can add custom image in Magento price drop extension to be displayed on product pages. 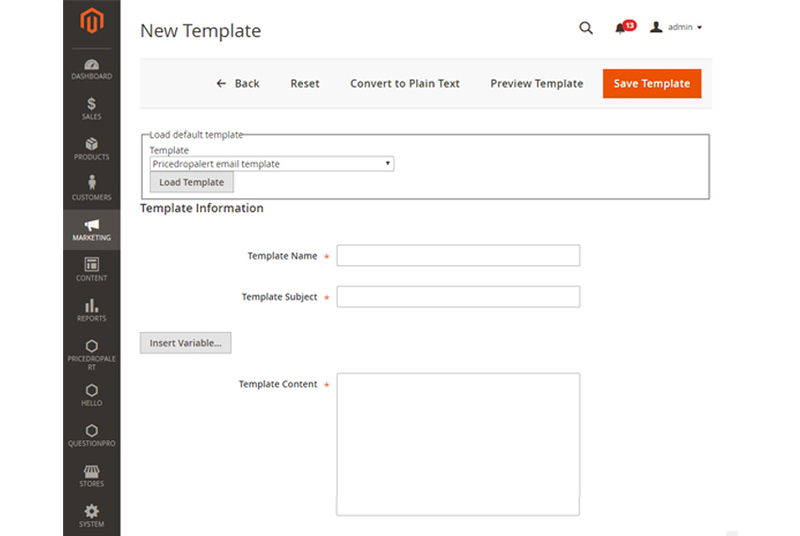 Is it possible to change price drop email template? 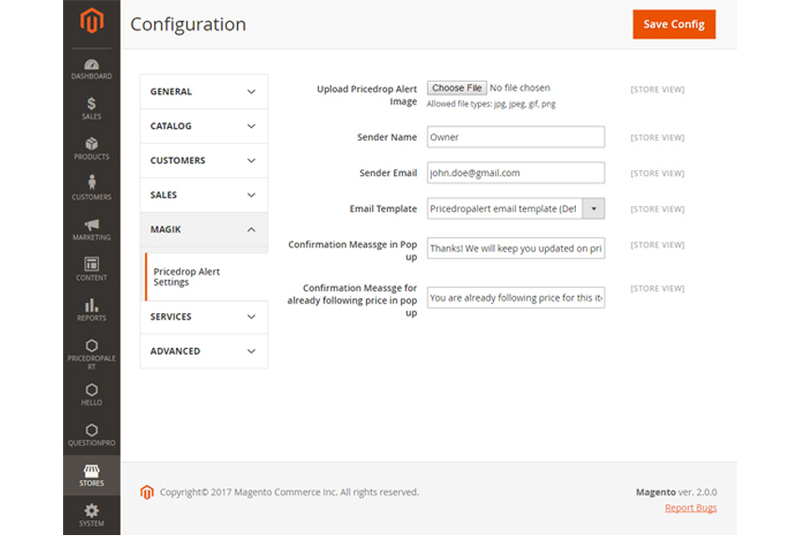 Yes, Using magento price drop extension you can customize email template settings from admin. Can I have a list of customer subscribed for price drop email? 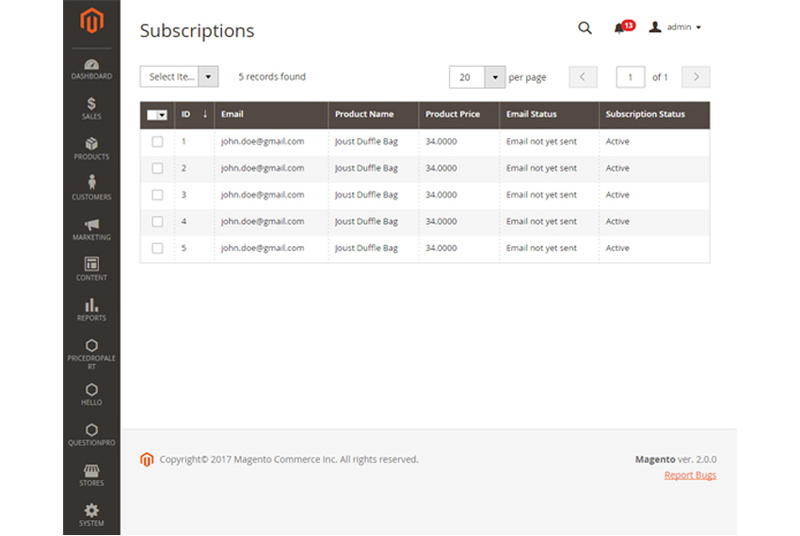 Yes, Magento price drop extension shows subscribed customers list in admin panel. 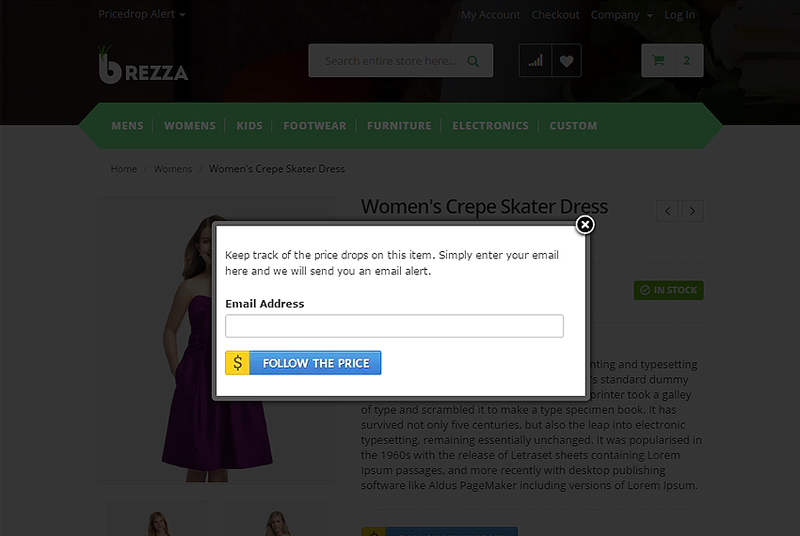 Can customers unsubscribe from price drop email alerts? 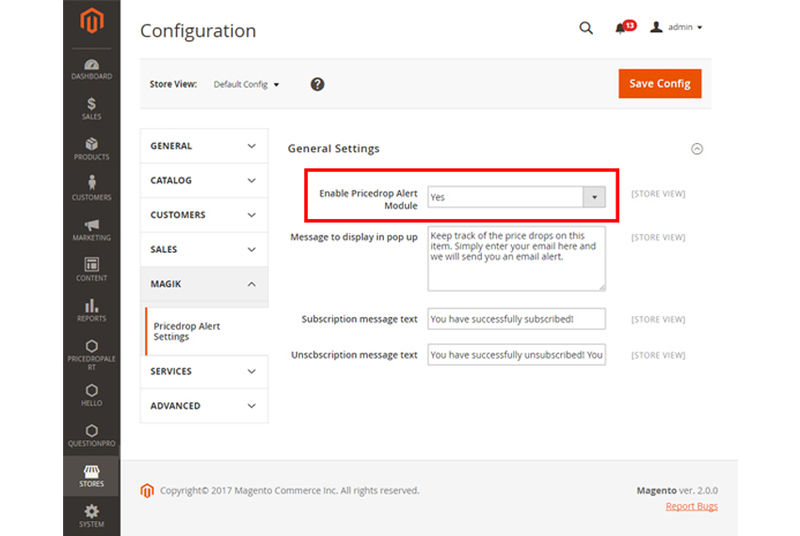 Yes, customers can unsubscribe any time from Magento price drop email alerts. Unsubscribe link is added under “My Account” Section. Can I send both regular price & price dropped to all customers tracking product prices? 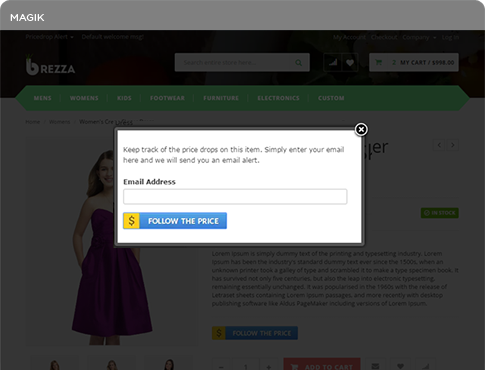 Yes, Magento price drop tracker extension allow you to send both prices in price drop email with predefined variables.